Small (approximately 20 square meters), nice and comfortable, little flat located behind Sant' Andrea's della Valle church, right in the heart of the historic centre of Rome, where you won't need a bus. Surrounded by many restaurants, trattorie, shops, and the picturesque Campo dei Fiori market, it is located a few minutes walking from the most attractive sites of Rome: Piazza Navona, Pantheon, Fontana di Trevi, Piazza Venezia, and the Imperial Forums. First level: living room with a table, 2 folding chairs, kitchenette, and a bathroom with shower. Second level: bedroom with 160x200 cm bed and a wardrobe. Transportation: it is well connected with the major sites of Rome by several bus lines. This is the 2nd time we have stayed at Via Dei Chiavari and its charm has been enhanced by a renovated bathroom. The description was very accurate and Sergio was very attentive to emails, meeting time, suggestions for restaurants and replacing the kettle in a timely manner. The location is fantastic, walking distance to so many of Rome's attractions, great for the Campo di Fiori daily market, great bakery, coffee shop, supermarket and restaurants. The Wi Fi was a real bonus and we had no problems with it. Whilst the seating is not perfect, especially after a long day out, given the little space, it is very hard to imagine how it could be improved. I have mixed feelings leaving this review. The owner met us at the rental and was extremely friendly. Showed us the rental and even told us about some local restaurants to try. Unfortunately when he was there we didn't notice that the bathroom door didn't shut. It's a bi-fold door and would only shut about half way so when someone was in there you could see right through. He didn't leave us any toilet paper either. Overall the place seemed to be a little older, not really dirty but could use a deep clean. 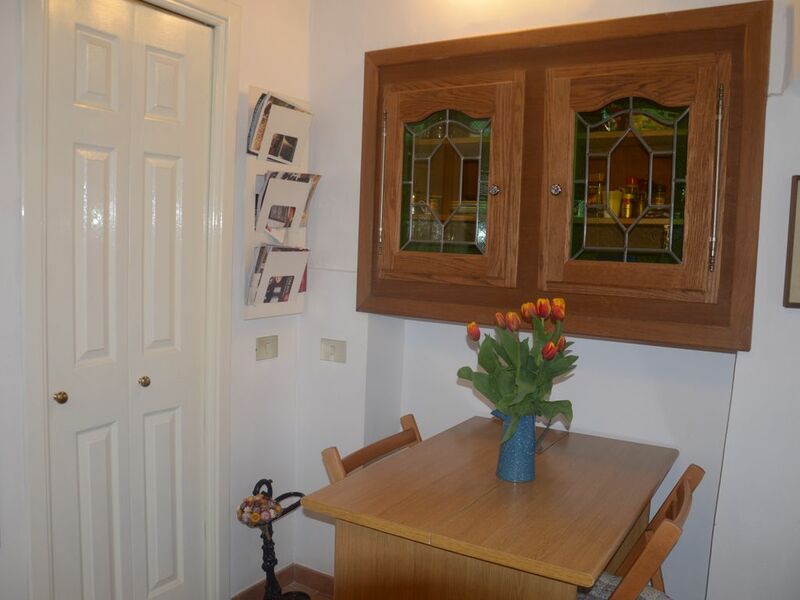 The location is really good and within walking distance of most of the major attractions. This isn't really a negative as Rome was really loud everywhere, but garbage collection would be clanking bottles at 2:30 in the morning and there's a garage door next door that opens at all hours. He did recently add wifi which is really nice but it was really slow, almost unusable at times. The description is accurate as it is pretty small and the steps are extremely tough to use.